Having several years of teaching experience as a senior Cognitive Trainer in a brain training centre, Fenn Hong achieved in assisting many children, ages 5 and up to overcome their learning difficulties to excel academically via interesting mind stimulating activities. She always believes in being a committed, loving and responsible trainer. Hence, she loves working with these children and they never fail to enjoy her lessons whole heartedly. With these values and the firm believe that she can make a difference in the lives of the children entrusted to her, she has established a strong rapport with many parents throughout these years of teaching. With a strong grounding in both Child Psychology and Child Development, Fenn Hong is extremely passionate to help more children in enhancing their learning abilities and to ignite their hidden potential. She strongly believes that one’s cognitive skills can be strengthened to aid his or her learning and exam performances. 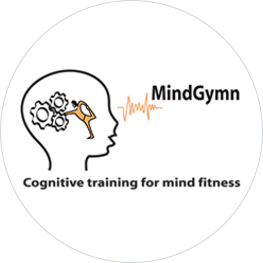 In order to reach out to more children in need of cognitive training, Fenn Hong and a team of professionals with Child and Education Psychology disciplines have established Mindgymn in 2010, with its programmes based on research from neuroscientists and cognitive psychologists in the US.